I worked on a fun project last month for a local farm’s Autumn Harvest Dinner. I incorporated some illustration and linocut art into this event poster. 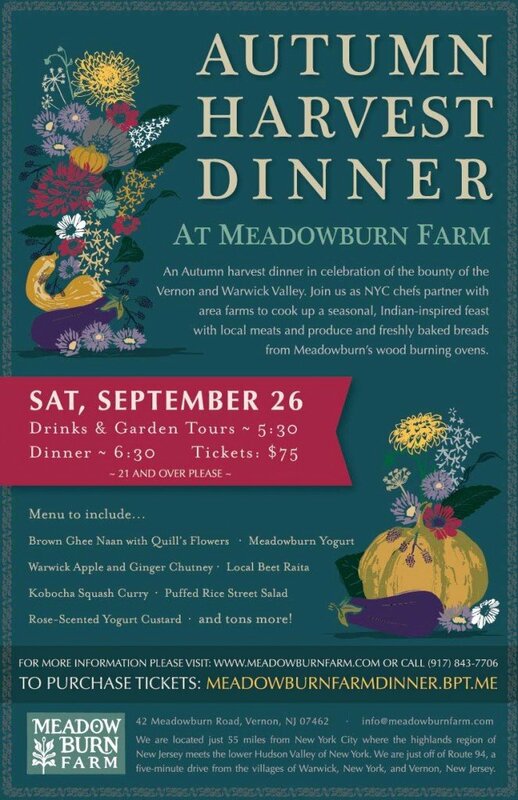 The Meadowburn Farm has beautiful gardens…and they just recently had a nice write up in Martha Stewart magazine!